Developing, producing, and using digital content is at the core of enterprise work. 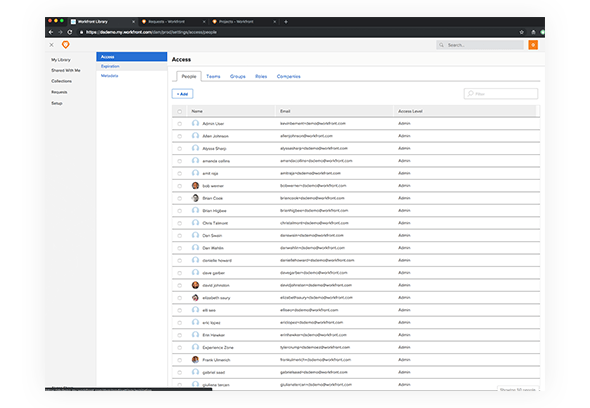 Workfront Library empowers your people to manage work, review and approve assets, and distribute them throughout the enterprise, all in one place. 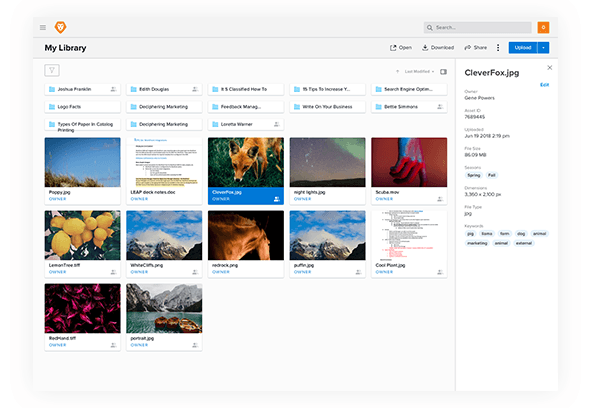 Workfront Library is an enterprise digital content hub for managing the full lifecycle of digital assets— from creation to use—so your teams can move at a faster pace. Stop switching between content systems or losing track of past documents. 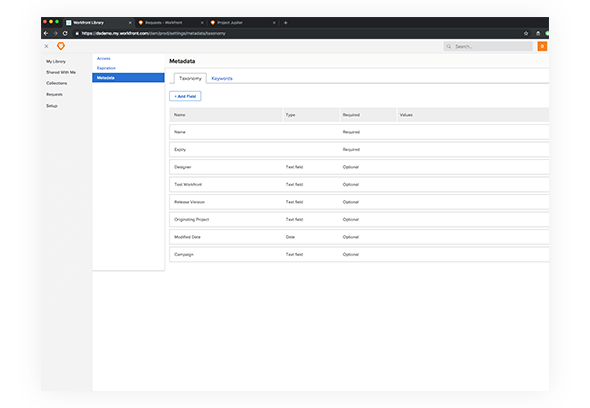 With a seamless integration between Workfront and Workfront Library, your team has one place to manage work and supporting content from the moment a project kicks off. Break the chains of filters, quotes, and exact keyword searches to find the document you need. Workfront Library’s enterprise-grade search provides the exact document, anytime you need it. Stop losing time searching for content, emailing versions, and duplicating efforts. 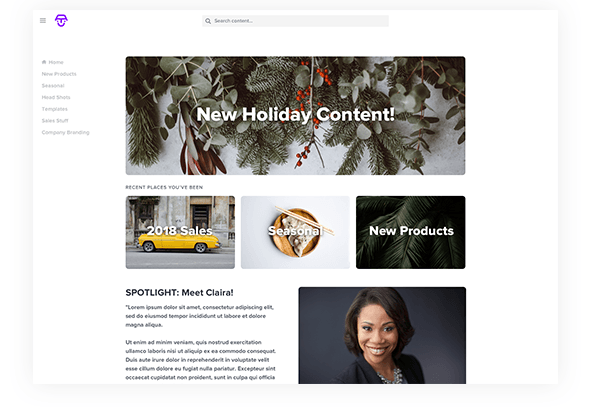 Help the people who need your content—colleagues, leaders, partners, or customers—access right version. Eliminate tool switching and stay organized. Access Workfront Library directly from Workfront. Sync document versions and final artifacts between tools and pass along metadata for quick organization. 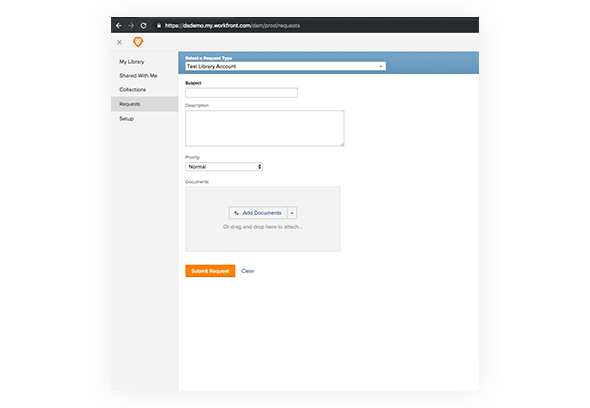 Allow users to request changes or new documents through your Workfront request queues without leaving Workfront Library. Workfront will route those to the right team so they can get started on the work. When content isn’t ready for full distribution, My Library lets you organize and share it with the people who need it. Once it’s ready to be published, send it to the enterprise portal without changing its location. Search that works. 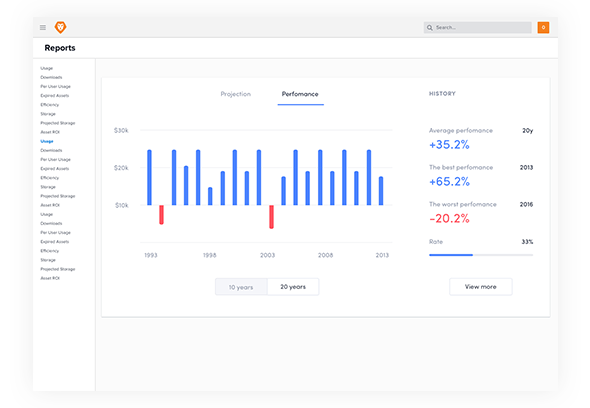 Workfront Library’s proprietary algorithm helps you find content you need without all of the filters—but we have those too. Search folders, content, metadata, and even Workfront documents to find exactly what you need. Work organized the way you want. 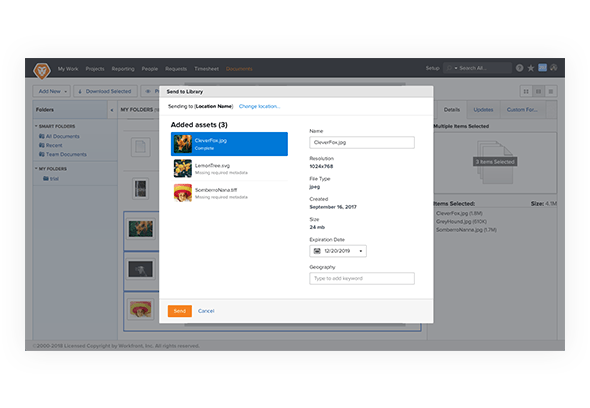 Workfront Library lets each user personalize their library with custom folders and collections. 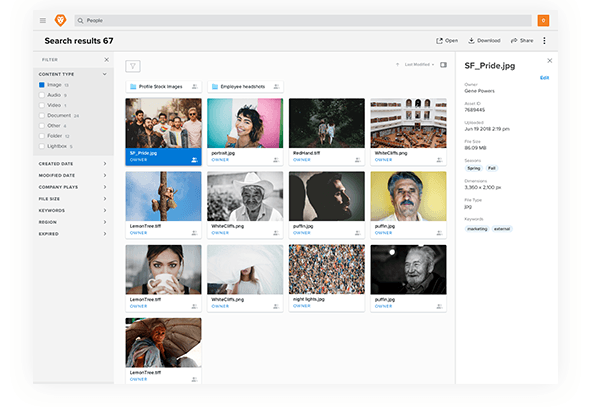 They can pull content from the enterprise folders, Workfront, or upload their own assets and share with the team’s they are collaborating with. 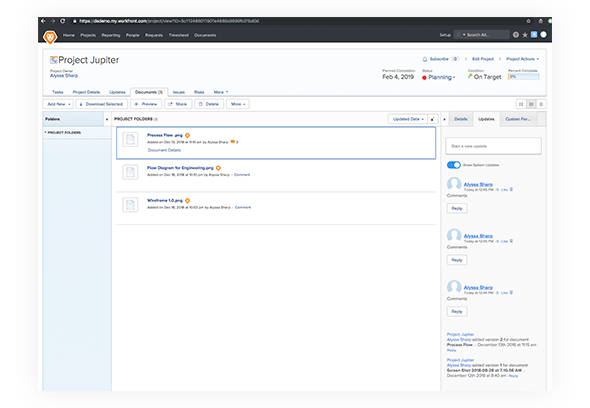 Share groups of content with internal and external collaborators with our custom portals. Group documents and folders together and set custom sharing controls on who can access it. Control who has access to specific content. Your designated administrator can determine which content can be viewed, downloaded, or uploaded by users across departments. Get real-time alerts when the content your team manages is changed or used. Whether you’re sending content from Workfront or uploading a bunch of documents, automatically fill out the appropriate metadata fields so your team doesn’t have to do it manually. Content isn’t valuable unless it’s used by the people who need it. Track the hours it took to create and the performance of your content so you have a true view of the content’s ROI. Fender saved 2 working hours per day with Workfront. ATB reduced the cost to manage a job by 60%.